Now it’s starting to get fun. With the 2015 season a month old – at least for the Minors circuits – we’re starting to see some serious shifting in the rankings on a weekly, and sometimes daily basis. 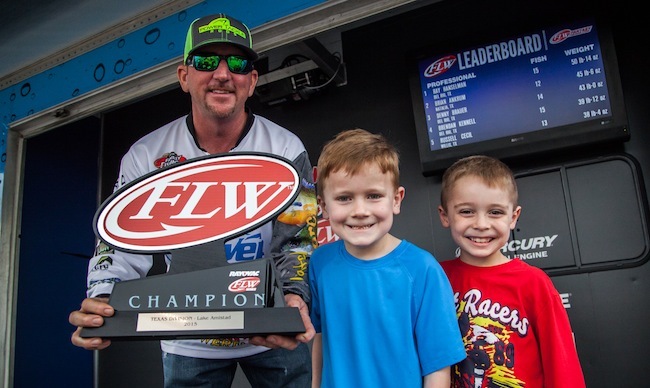 In the last two weeks there have been FLW Rayovac Series events at lakes Havasu and Amistad, won by Joe Uribe Jr. and Ray Hanselman, respectively. But there have also been a number of 2013 events that have dropped off due to Bass Rankings’ revolving two-year criteria, meaning even anglers who didn’t wet a line the last two weeks still could find themselves in new places in the ranking. Just take Stephen Browning. Two weeks ago he sat in 22nd. He hasn’t fished a Minor tournament in the last two weeks, but he did drop an awful 2013 tournament on Toho during that span. Now, he resides in third. David Kilgore pulled a similar trick, jumping from 28th to 11th. Browning is the only new name in the top 10 in the last two weeks, but at the same time, only two anglers in the top 10 are still in their same places – Ott Defoe is still the No. 1 Minor angler and Justin Lucas is still No. 6. But let’s look at the guys who won the two events. Hanselman’s first Minor victory bumped him up seven spots to 14th, but he could be contending for the top spot in the rankings if not for a bad last tournament of 2014. Unfortunately, he’ll have to wait two years to drop that event. Meanwhile, Uribe Jr. has always been among the top Minor anglers, taking up a long-standing residence in the Minors-Only top 10 a few years back. He hit a bit of a lull that dropped him down the rankings, but his latest victory trended him upward 23 places to 55th. And of course, these are just the brief highlights to what have been hundreds of moves up and down the ranking in the last two weeks.